Do you need commercial storage in the UK? 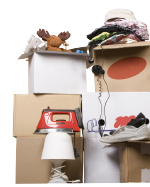 If you are already lacking storage space in your commercial premises and yet have a lot more items, products or pieces of equipment to store away, then we could be of great help to you. Here at Lok’nStore, we offer a self-storage service which provides you with the free space and security you require. We’re extremely proud to say that we offer a bespoke service, allowing commercial clients storage options for a wide range of business problems. Lok’nStore appreciates and understands that every business is unique and each requires a different approach when needing commercial storage space, but we believe we are the best suited company to help you and your business. Find out more today by browsing through the business page of our website.